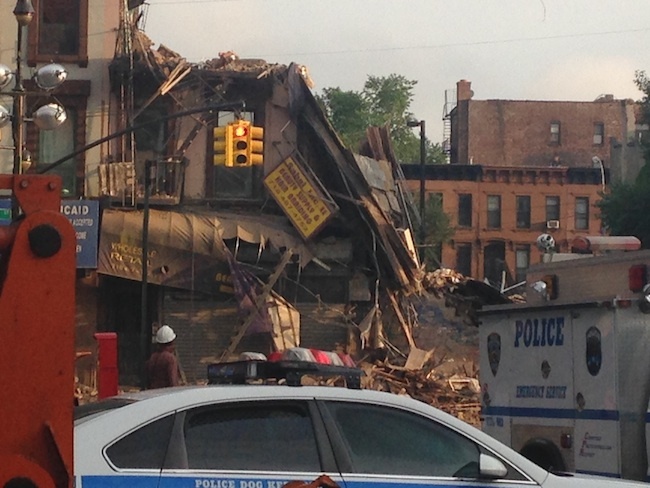 This was the scene yesterday evening at the intersection of Fulton Street and Tompkins Avenue. Cops and firefighters everywhere, with the intersection completely blocked off to pedestrian and vehicle traffic. 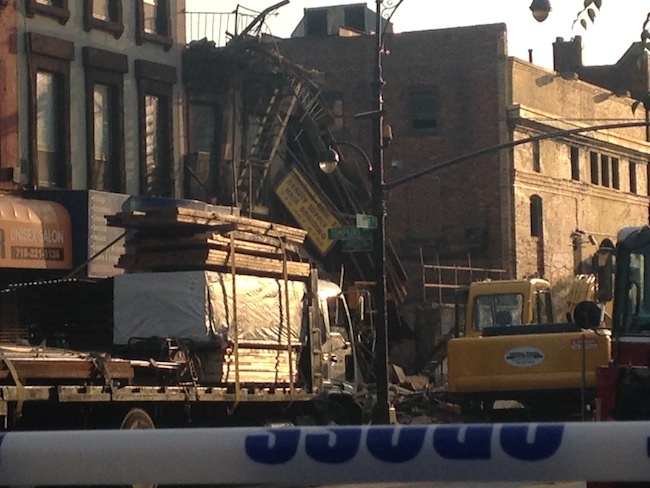 The building at 1438 Fulton Street collapsed around 2:30pm, according to DNAinfo. Luckily the building was unoccupied, and only three people were taken to the hospital with minor injuries. There were previous complaints issued about this building concerning structural issues. There wasn’t any construction going on, so the exact cause isn’t yet known. Inspectors will be on scene for the next few days trying to figure out what happened. It was madness yesterday! It’s just lucky that no one was inside. ← What Do People Think of the New Bread Love?